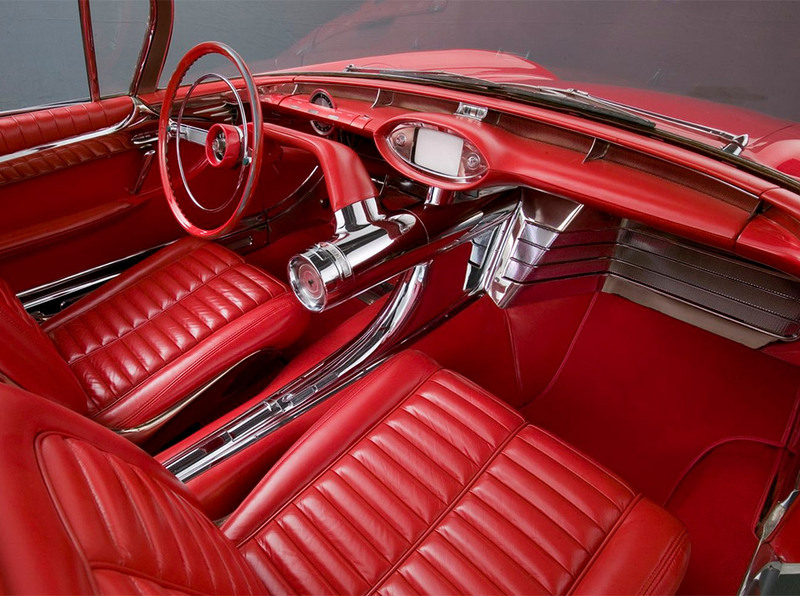 Throughout the years, concept vehicles have been bestowed with a variety of futuristic interiors, highlighted by high-tech dashboards with innovative and unusual control schemes. In this post, we’ll take a look at some of the most unconventional dashboard designs we’ve come across over the years. Shown above, the plug-in hybrid AC-X not only featured joystick control, but it envisioned a fully-autonomous mode in which the controls could be stowed and an ottoman would emerge from under the front seat so the driver could relax. With its odd pyramid-shaped body, the Karin was definitely one of the strangest looking concept cars ever shown. The car featured a unique three-seat configuration with the driver in the center and passengers seated to either side and slightly behind. This resulted in a centered dash configuration, and being a futuristic car, an appropriate number of strange and non-descript buttons and a CRT behind the wheel. Being a contemporary concept, the Brivido featured a dashboard that seems much more likely and realistic and desirable than many. 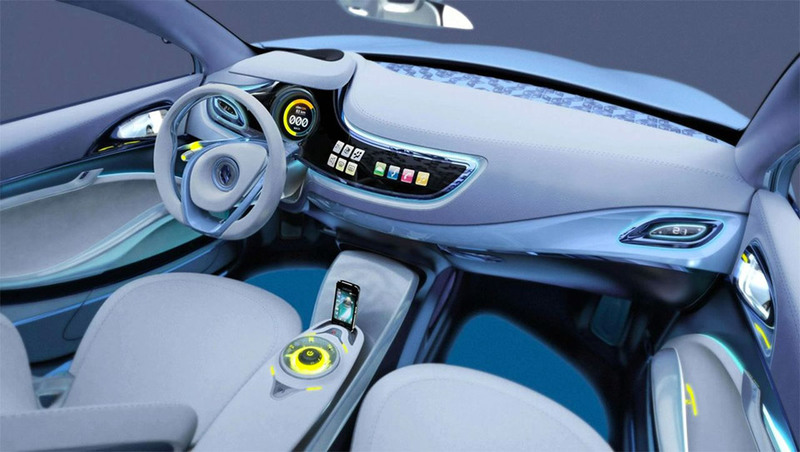 Not only did the driver’s side and console feature modern touchscreen controls, but the passenger had their own screen for media control, playback, and monitoring the car’s speed. This zero-emission version of Renault’s workaday compact sedan is actually in production now, but its concept variant featured a sweeping modern dashboard with clean and minimal displays, curved touchscreens, and an iPhone dock. Too bad these features never made it into the production version. 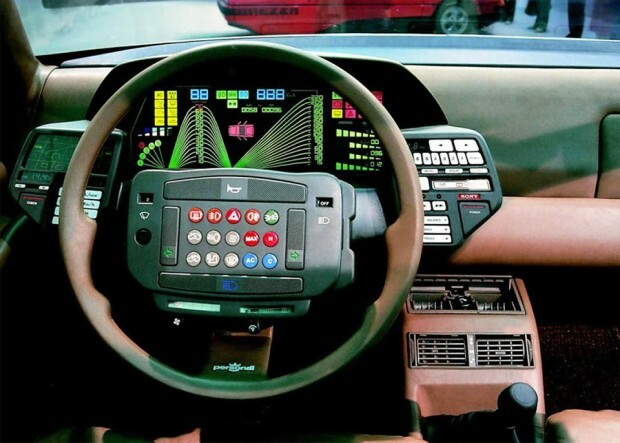 The otherwise ordinary looking Orca’s dash and steering wheel look like something out of Knight Rider, with dozens of cryptic buttons on both the steering wheel and surrounding it. If the controls weren’t challenging enough for the driver, the display behind the steering wheel featured cryptic diagrams in lieu of a traditional speedometer and gauges. 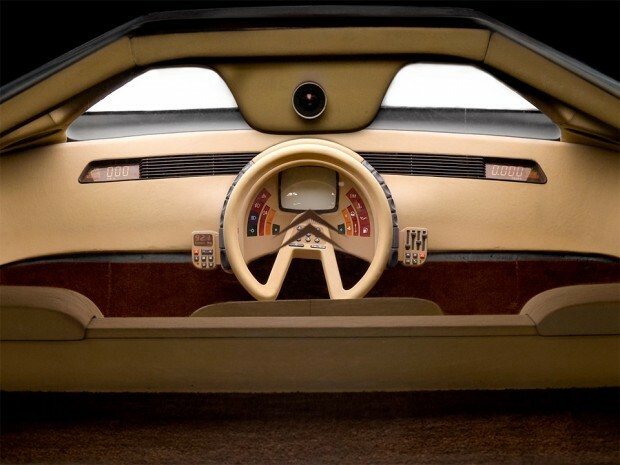 Many years ahead of its time, the bubble-topped Centurion was the first car to feature a television camera in its rear end, and a TV screen in its dashboard in lieu of a rearview mirror. 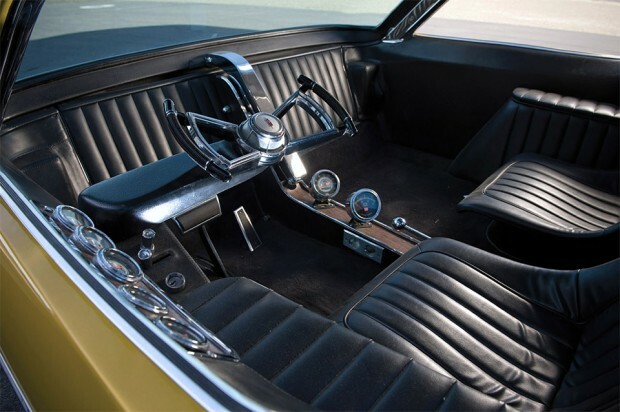 Its unique cantilevered steering wheel featured a gear shift control in its center. We’ve featured the Deora before, which was one of the most unusual concept cars (trucks?) of all time. In lieu of a conventional dashboard, it featured gauges and controls to the sides of the driver, and a bow-tie shaped steering wheel, which had to swing out of the way when the driver entered the cabin. 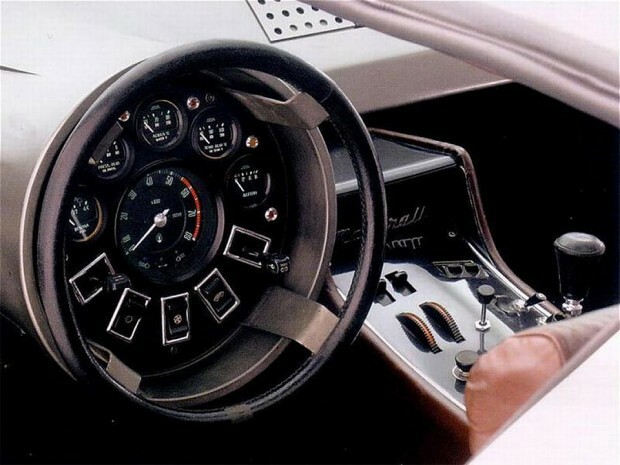 Another concept by Giorgetto Giugiaro, the Boomerang integrated its gauges and controls into a circle inside of the steering wheel. The gauges remained stationary as the wheel turned around the cluster. The F-200 may have looked like a conventional Benz from outside, but the two-door coupe departed from the norm by replacing its steering, braking and acceleration controls with a pair of fly-by-wire joysticks which flanked the driver. While it definitely looks more comfortable than a traditional car, it also looks like it’s missing something. 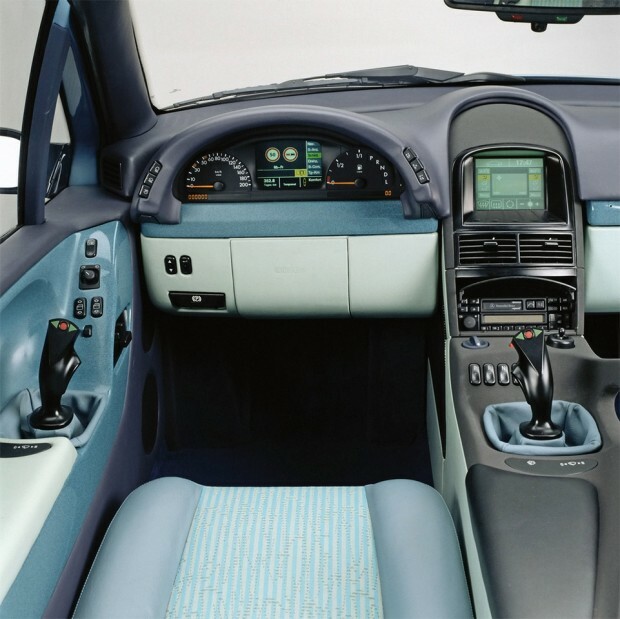 The XNR was a pretty extraordinary concept in its own right, but its dashboard made it just that much more sporty. 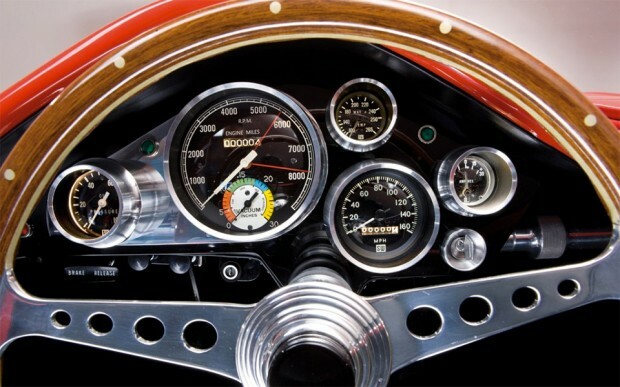 We love how it put the gauges front and center, with the RPM and vacuum gauges getting the most attention.